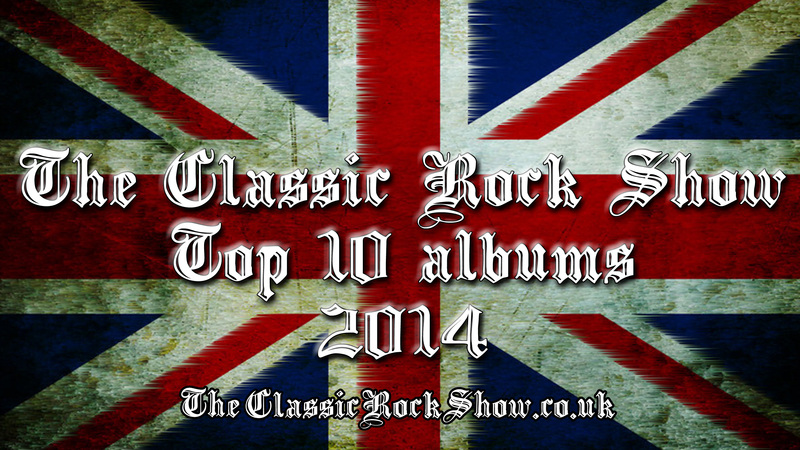 Top 10s of this, Top 10s of that spring up all over the place at this time of year and well, what the heck, we thought we’d get in on the action and share with you our Top 10 Albums of 2014. Here’s what floated our boat this year. Stories and soundscapes that keep drawing you in. 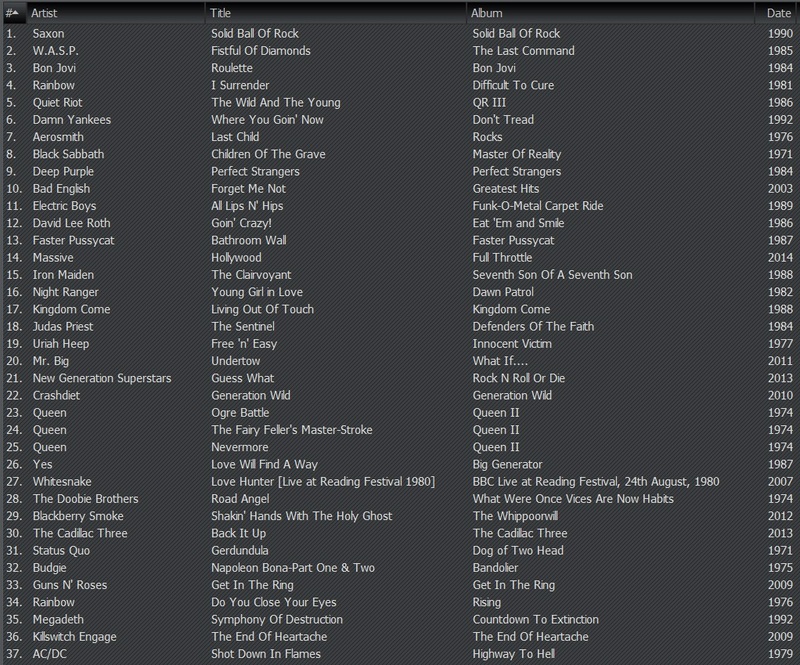 45 years of ‘Classic Rock’ experience put onto one album. Monster riffage leads to profuse headbanging. ‘Rock ‘N’ Roll’ with more than one schooner of beer added. A full cartridge of amour-piercing metal. Hit their stride with ease and grace, pace and talent. All shades of blues, delivered with appeal and aplomb. The albums that made it onto here, reflect well (we think) on what a thoroughly diverse and generally inspiring year for Rock Music 2014 has been; new kids on the block along with those out earning their stripes, standing shoulder-to-shoulder with some old-stagers. What’s in your Top 10? 80s rock music continues to live on in the hearts of everyone who was there. The Classic Rock Show ‘Special’ kicked its series of 10 shows off in fine style and packed in three hours of top notch tuneage. The date of when we propose to air Part 2 of our series of 10 ‘Specials’ which will bring you the best of the 1980s, will be announced soon. Thursday proved itself to be another one of those nights on ‘The Classic Rock Show’. You know the ones; great music, great company and everyone having a great time. 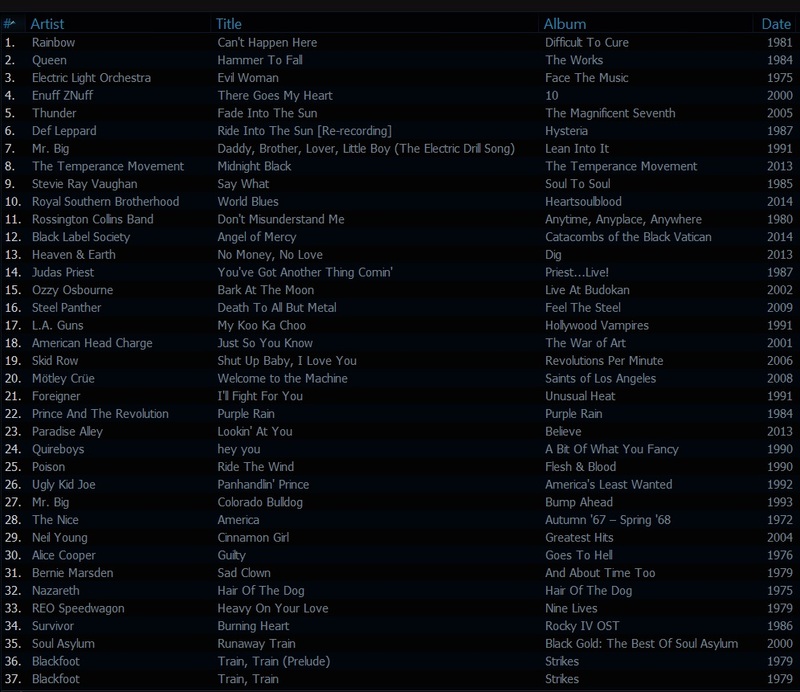 Here’s the playlist. Had goodness knows how many requests played during the show. Everyone of them top notch. Next week’s show will include your requests once again (look out for the ‘Request-line’ which will open tomorrow (Sunday July 12th) at Midday. Plus, we’ll be announcing the winner of our ‘Massive’ Competition which is running at the moment – entry details here. It was great to see new faces joining us and rockin’ out along to ‘The Classic Rock Show’ last Thursday. Bex is back next week – Thursday, July 3rd at 7pm – and she’ll make sure you get your fix with some LOUD tunes. 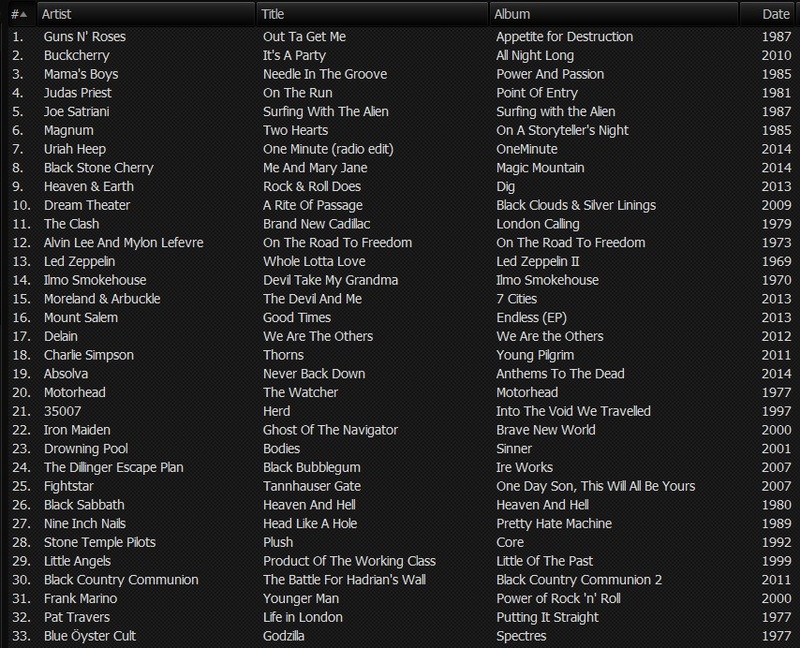 Here’s what we played on the show. Had a number of messages sent in via Twitter and Facebook pretty much as soon as the show finished, asking about the playlist from last week and when we would be posting it up. Well, here it is. Looking forward to tomorrow night’s show. Some cracking requests to play for you and a couple of prime cuts from yours truly. See you at 7pm (UK time). (click here for more details). Thanks again for tuning in. 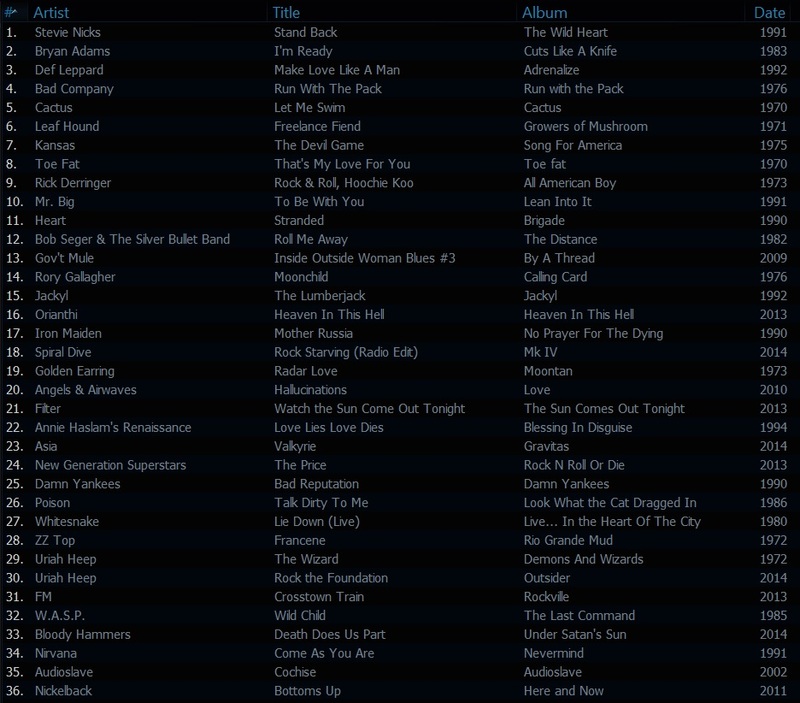 Here’s the #ClassicRock Show playlist. Between us, we created a bit of a buzz last night. Plenty of ground was covered and the requests we played were simply outstanding. Thanks again for tuning into the show. Don’t forget that next week we’re running the final part in our series of shows celebrating all that was the 1970s. More info can be found here. In the meantime, have yourselves a great weekend. I hope the weekend treated you all well. 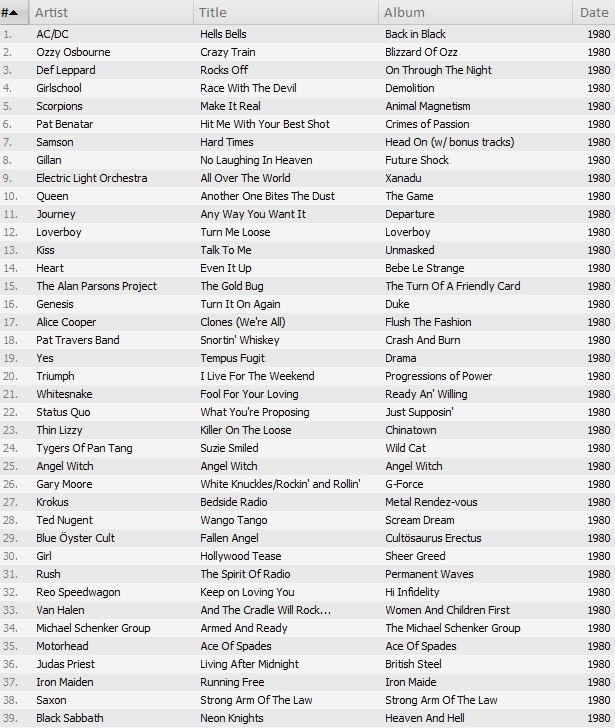 Looking back at this playlist (see below) some days after last week’s show, I gotta hand it to you guys and girls, you really have exceptional music taste. 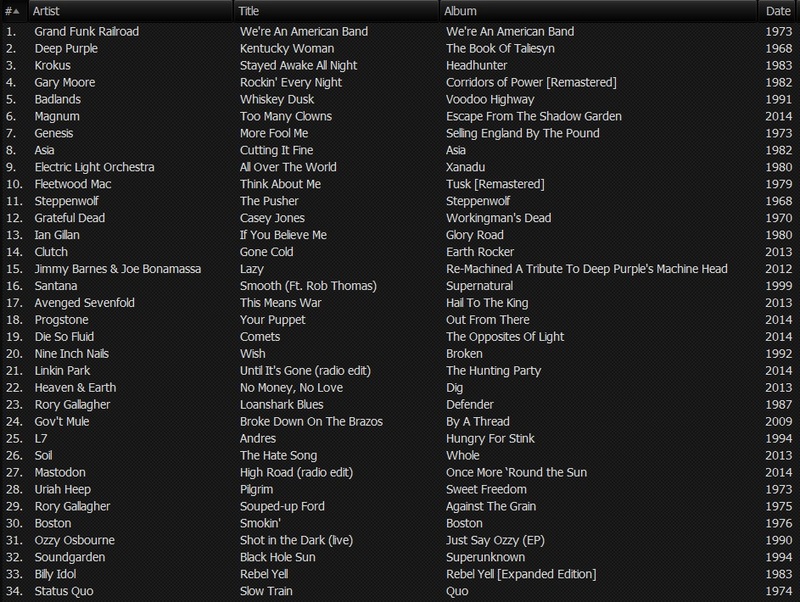 We played some terrific music…chosen by you, dear listener! We’re back again, playing what you wanna hear this Thursday night at 7pm (UK time / 2pm EDT).